Two idiosyncratic forces combine on this latest sneaker collab from Supra and jeweler to the stars Ben Baller. Always a stand-out in the world of sneakers and streetwear, Supra lends the distinct OG Skytop design to the hands of the always one-of-a-kind Ben Baller for a lux makeover this spring season. 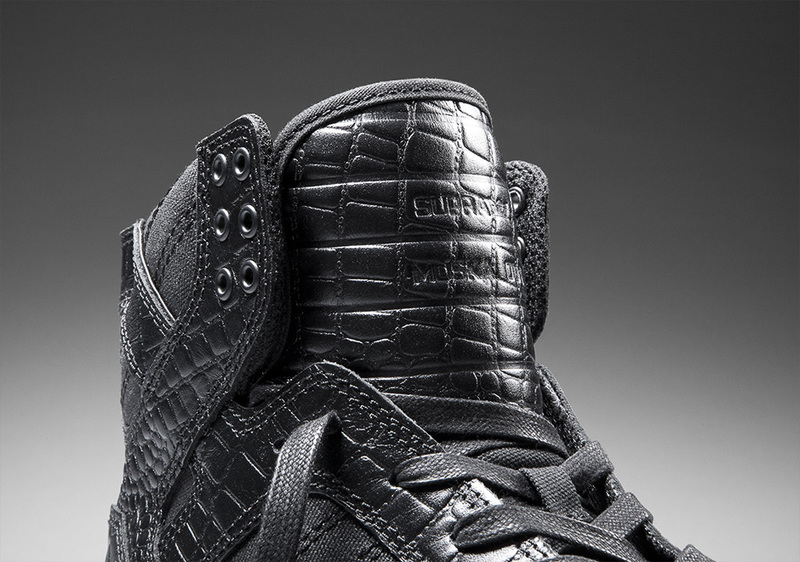 The Ben Baller 413 Skytop boasts a sleek all black upper constructed in crocodile-embossed leather with a waxed canvas base, also furnished with flat waxed laces. 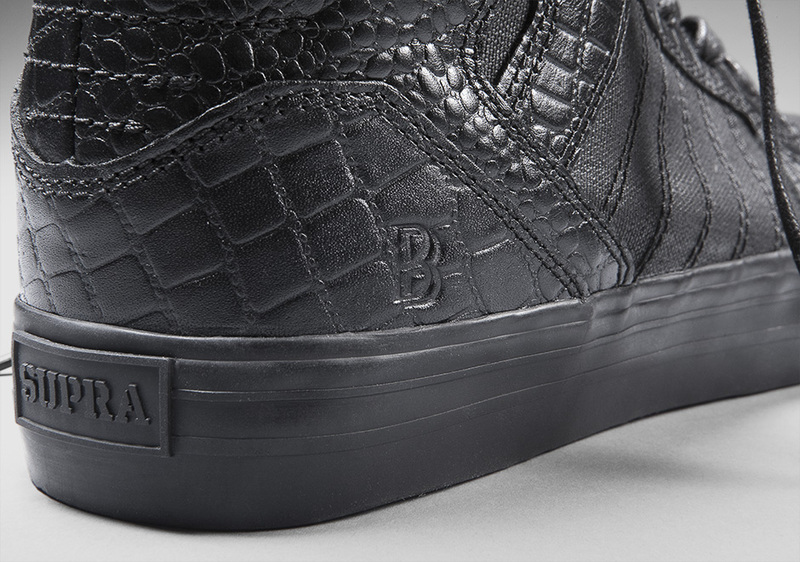 Making sure you know they’re designed by the man who has crafted jewelry for everyone from Fabolous to Dr. Phil, Ben Baller’s “BB” logo is embossed at each heel. 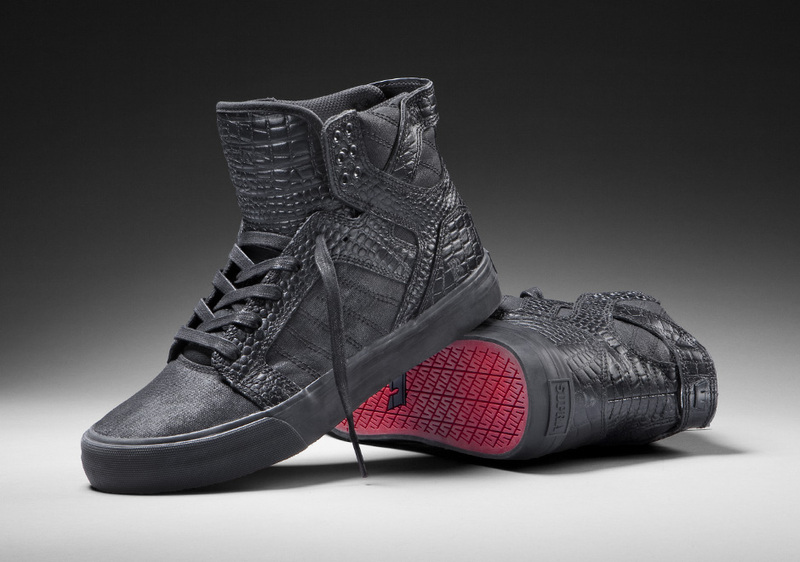 Adding a touch of color, a red outsole finishes off the refined collaborative edition of the Skytop. 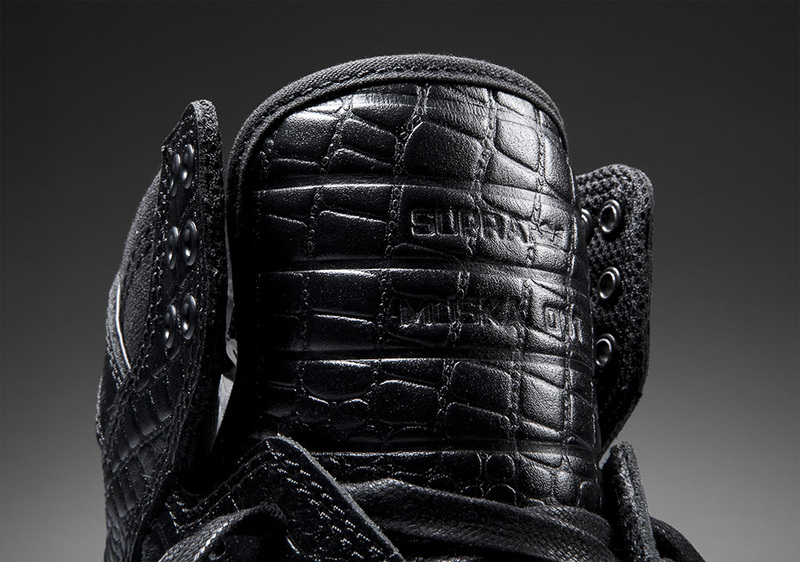 The Ben Baller x Supra Skytop hits exclusively at Supra’s New York City, Paris, and Santa Monica stores as well as factory413.com on March 16, 2015.